REDUCED!! Successful Vacation Rental in Hernando Beach. Located on a deep wide canal in the AE flood zone with direct Gulf access. Furnished A FRAME with front porch and large screen patio overlooking the water. Jump right off the deck into your above ground pool. 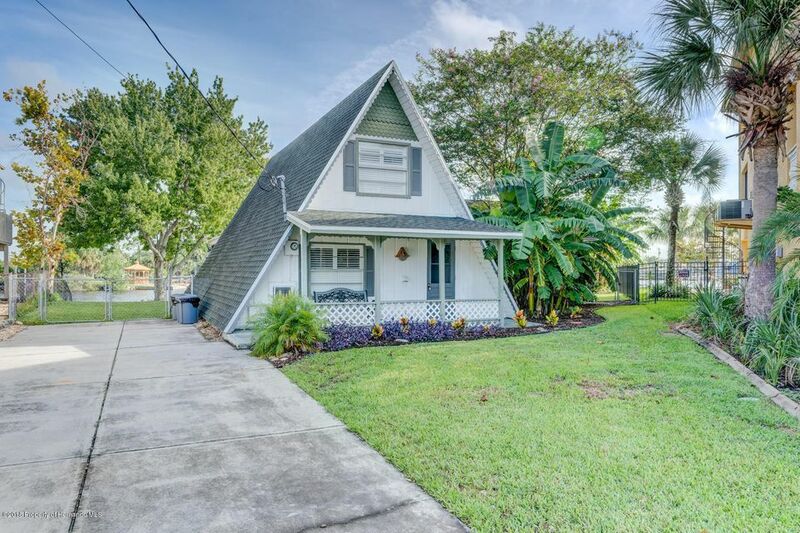 This charming home features wood laminate flooring on the lower level, complete kitchen with built in desk, cozy living room, family room with beamed ceilings, guest bedroom with bunks and bathroom. Climb the spiral staircase to the charming master suite where you'll wake every morning to the feel of soft carpet beneath your feet. Move right in to this turnkey home or continue to allow others to enjoy its charm and location as a vacation rental. Often occupied , Call to schedule. 100% Financing Available thru BBVA Compass. I am interested in 4530 Flounder Drive, Hernando Beach, FL 34607.